This 12 page paper covers the main issues, questions and principles surrounding economic valuation and is designed as an overview for those new to economic valuation. Bringring together input from 120 volunteers from the economic valuation community, this paper provides a summary of agreed principles to help communication with other Valuing Nature research disciplines and users of economic value evidence. The editors are Ece Ozdemiroglu and Rosie Hails from the Valuing Nature Programme Coordination Team. How do we estimate economic value? How do we use economic values in decision making? But economic values vary! And so they should! How to communicate economic value evidence. 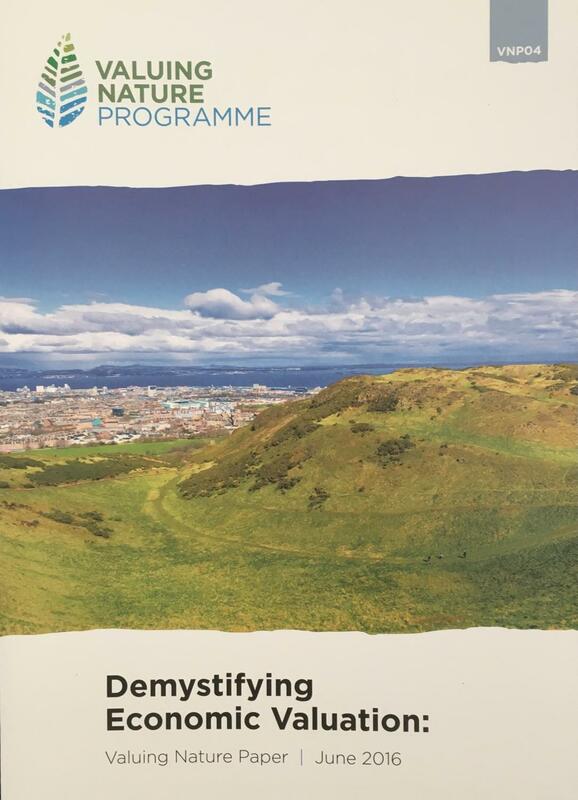 This paper is the first of the Valuing Nature “Demystifying….” Series, and was funded as part of the Valuing Nature Programme. The five year, £6.5m Valuing Nature Programme aims to improve understanding of the value of nature both in economic and non-economic terms, and improve the use of these valuations in decision making. To do this, the Valuing Nature Programme funds interdisciplinary research, and the Valuing Nature Network will build links between researchers and people who make decisions that affect nature in business, policy-making and in practice. If you found this paper useful please let us know! Email: info@valuing-nature.net.